Yesterday I decided to repaint my kitchen table. I painted it with 3 different colors of chalk paint. Then Inspiration struck. In an earlier post, I posted a table setting chart that I thought my family should memorize so they could set the table correctly. 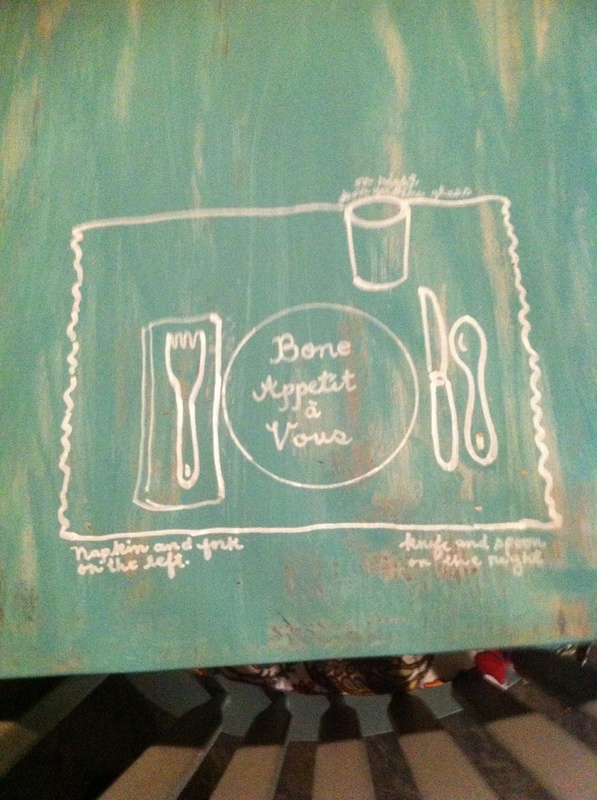 I drew the diagram on the table top with a marker after the chalk paint dried. Please don't think I spelled bon wrong, I was trying to be funny since we have 3 dogs who like bones.